“Electroforming” is the deposition of a metallic coating layer over all type of objects to create a partial or complete layer offering the possibility to create three dimensional shapes, hollow and ligh-weighted, which can not be achieved with other techniques. The application in jewellery opens up an immense field of creative possibilities. • To perform and learn about “electrolytic engraving”, another possibility the technique provides us. Anyone with an artistic and creative desire willing to experiment and gain new skills. Also to jewellers wishing to enrich creative and new research possibilities. You are free to bring anything you would like to transfer into metal (as organic materials: leaves, shells, small branches, plastics, etc.) or even any other non-metallic material. Everything is possible! Participants can bring any kind of materials for electroforming. All organic materials must be dry. No use of ferric materials, and the size limit of the pieces is 5 x 5 x 5 cm. Gaston Rois is an artist recognized as one of the specialist of this technique in contemporary jewelery. 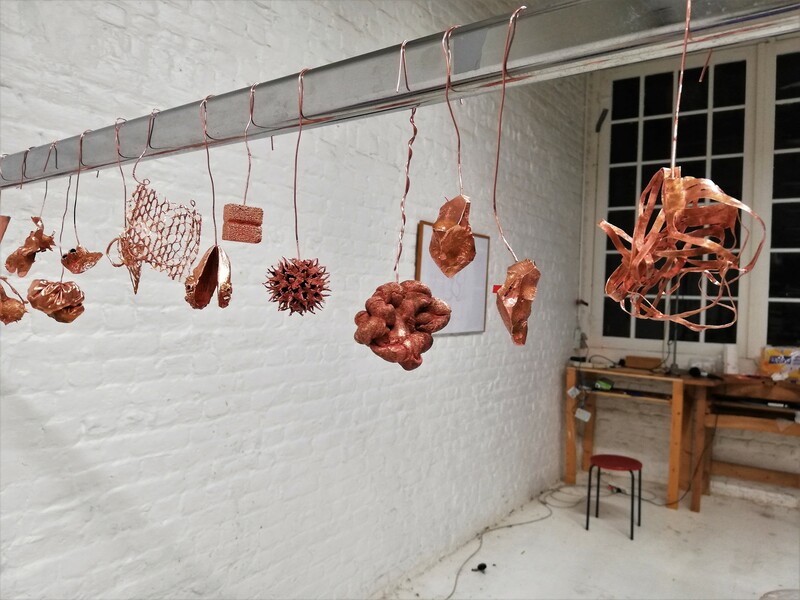 He graduate in 2010 in the Massana school in Barcelona and since then he is making some research around electroforming and he is giving some workshops in Europe and South America.